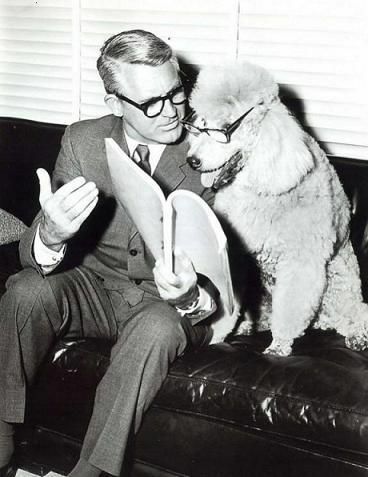 In a private conversation, I was recently asked an interesting question; what is the best way to learn your lines? It is not something I really think much about these days. After many years of plays and filming, I have sort of had a technique evolve organically. I took bits and pieces from all over the place. Some worked, some didn’t, until I finally found I was learning my lines without much effort. Yet I can recall times where I asked the very same question of others. So now that I have a technique, what is it, and can others use it? To be perfectly honest, I don’t believe there is a definitive way to learn your lines. People learn differently. Our brains work in different ways. My wife can recall people’s names, dates, factual details about this and that, and when she rattles of a series of genealogical connections in her or someone else’s family tree, I get lost at the first branch. I, on the other hand, can tell within a few seconds if I have seen a movie or TV show before. The visual clues stick out to me like neon lights, and the emotional intensity of the scene strikes familiar chords in me. Within the first minute, I will not only be able to recall that I have already seen the show, I usually am able to recall the basic story and outcomes also. Learning lines is a personal thing, and developing a technique is a personal journey. You need to work out how your mind works, and then how you can use that knowledge to improve your memory recall. An approach used by one may not necessarily work for another. Rote Memorisation – Simply committing the lines to memory through constant repetition. Playback – Recording your lines, and sometimes those of the other characters, and playing them back to yourself over and over. Re-writing the script – I have seen some actors completely rewrite their lines to help with their recall. Understand the meaning – Some of the most common bits of advice is to understand the meaning of the story; the characters purpose and goals. Physical Recall – Associated certain movements with certain lines and create a choreography for the script. Your physical location within a scene can stimulate recall. I have used, and to some degree still do use, these techniques, and I struggled to get beyond the learning of the lines to the next phase, bringing the character to life. In a previous post, I discuss being able to bring a character to life. I have found getting lines locked in can often restrict characterisation, and this is because I have become so focussed on the lines, I forget the character. Thing about real life people, we don’t have scripts. We don’t know what is going to be said next. It is in that sense of the uncertain where life exists. To take a photographic example, how often have you seen a photo where people have been asked to pose and the smiles appear to be stiff, uncertain and fake? I am sure nearly everyone knows exactly what I am talking about. In these instances, the subjects have been allowed to smile for too long. A smile that is being posed is only genuine for a second, maybe less. Then it becomes a chore to maintain. The expression drains from the face and eyes, which is where a real smile rests. Learning lines mechanically is like holding on to the smile for too long. It goes flat. A trick used by models and some photographers is to keep the subject(s) moving, or to have them relaxed before the shot and then having them pose on call. I wanted to bring the same level of spontaneity to my acting and the techniques I had learnt simply were not giving me that. Then I found a book. Not just any book, and not a book about acting. It was a book about not acting. 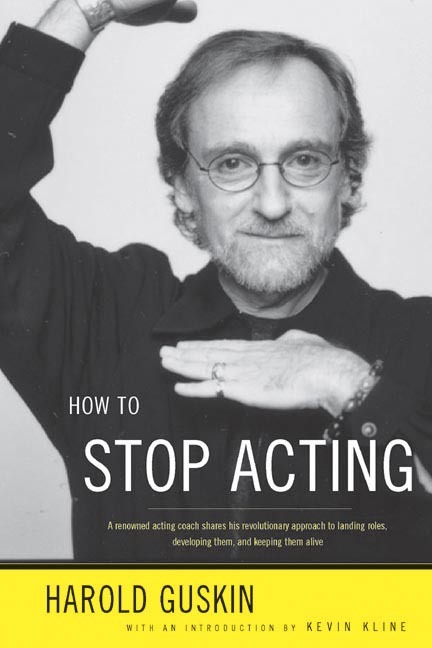 This book changed my ideas about acting completely. Within, it described a process, or approach, to learning lines that no-one had every told me before. Essentially, one combined the development of character with the learning of the line. Using an approach Harold calls “Taking it off the page” an actor slowly goes through a script, phrase by phrase (not line by line) and reacts to it. Read a phrase and use whatever emotion you feel upon reading to the look up and speak the phrase. It is about reactions, not portrayal. Other techniques involve you having your character preformed almost entirely and you, the actor, are then to drive the emotion. Here the actor is actually reacting to the line and reflecting that back into their performance. Even the lack of a feeling or reaction is a valid choice. It is “in-the-moment.” It’s a buzz phrase to be “in-the-moment” and the question has always been how. By breaking the script in to moment sized chunks, you are developing an understanding of the moments in the play. It blends the lines with the character. I takes away the feeling that I need to remember my lines. By integrating the character and the lines, when you get into character, the lines seem to flow naturally, which means more room to focus on the relationships, and situations. Learning Lines is actually quite an unnatural process. Life is basically ad-lib, so to organise and pre-plan every little detail is something only humans do, with our high cognitive abilities. We seek order in disorder, yet find entertainment in the unexpected. Plays that have been done many times before are often ridiculed for replaying a previously successful performance, and not bringing something new. Keeping a script alive and unexpected is a difficult challenge, and one that all actors must face. For me at least, learning lines is not the problem. Learning to live those lines is the true goal of any actor. To live the lines as much as I live my life.